Medium capacity handlebar bag designed for ease-of-use and maximum functionality. Easy access, double sided roll-type enclosures. Highly water resistant, compressible design. High quality, durable materials. Adjustable straps and simple velcro mounting system. External draw cords hold extra gear. Reflective features and light mounts add additional safety. 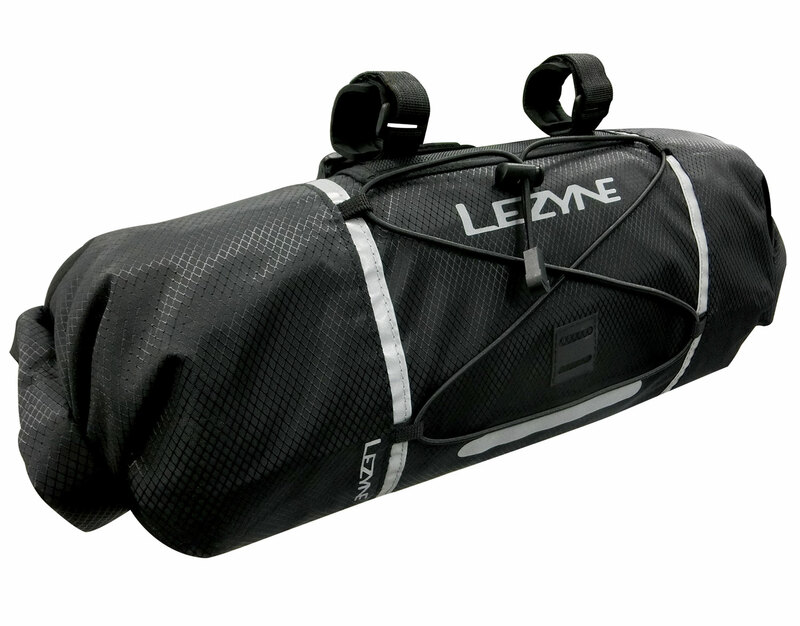 "Built at medium sizes, [Lezyne's bikepacking bags are] perfect for long day or one way trips, commuting or very light bike packing."